Pac Man returns once again to Xbox Live Arcade alongside the third Alien Breed game for Arcade Releases today. Both games will cost 800 Points, and both seem pretty cool. Pac Man is always fun and the XBLA versions have been pretty popular these past years, so check out more below! 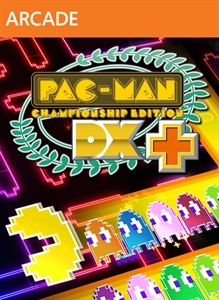 "Pac-Man Championship Edition has been powered up!! Three years ago, Pac-Man Championship Edition was released and took the world by storm, 27 years after the original Pac-Man's debut. Now, for the 30th anniversary of Pac-Man, this classic game has been powered-up! Everything has been upgraded! New visuals and sound! Increased number of mazes! The game you know and love has been pumped up to a whole new level! Once you start playing, you won't be able to stop! Why don't you give it a try?" 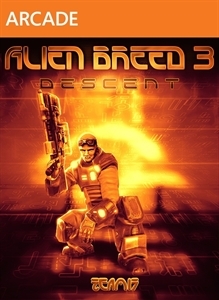 "Alien Breed™ 3: Descent is an explosive science fiction arcade-shooter with an epic story, swarms of highly intelligent alien enemies, high-impact weapons, highly detailed environments, developed using Epic Games' Unreal® Engine 3. In addition to the thrilling conclusion to the single-player campaign and the relentless survivor mode, the game offers action-packed, online or local two-player co-operative battle modes, for Xbox™ Live Arcade."